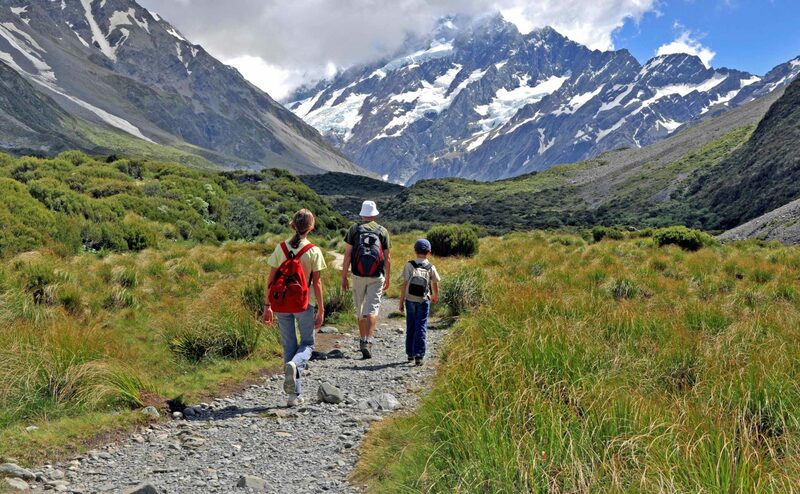 If you’re thinking of making a move to New Zealand with your children, first off – excellent choice! There are a million one reasons to make New Zealand your new home. According to the United Nations, New Zealand is the 8th happiest country in the world and the least corrupt in the world, according to Transparency International. With an outdoorsy lifestyle, excellent climate and friendly people, it’s no wonder it’s top of many people’s lists. 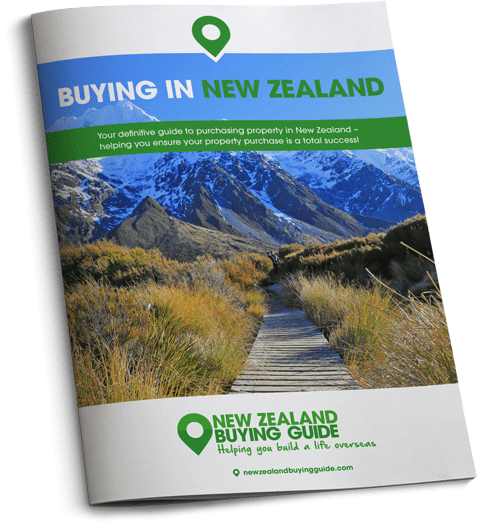 Despite having a lot to offer, New Zealand is a very long way away and this can be daunting, particularly for your children. Having helped people to emigrate overseas for more than 20 years, we know just how important your children’s happiness is to a successful move. 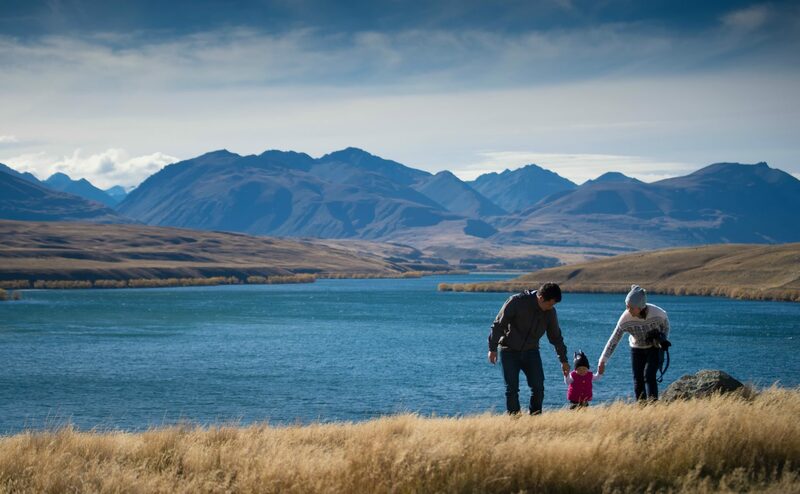 Today, we’re running through the key aspects of a move to New Zealand with your children, why it’s such a great choice, and how you can ease the transition. Is New Zealand the right choice for my children? New Zealand is an incredible place to raise a family. According to the World Happiness Report 2018, which ranks 156 countries by their happiness levels, New Zealand is the 8th happiest country in the world. The nation performs exceptionally well in categories including well-being, income, healthy life expectancy, social support, freedom, trust and generosity. Furthermore, the Global Education Report 2018 ranks New Zealand as the 12th best location in the world for educational institutions. If you want to make a move to New Zealand with your children to improve their quality of life, it’s clear you’ve come to the right place. New Zealand is an incredible place to raise a family. According to the World Happiness Report 2018, New Zealand is the 8th happiest country in the world. New Zealand is a veritable playground for you and your children. Firstly, the weather is considerably better than in the UK. Those moving to Auckland will enjoy an average of 2,008 hours of sunshine annually. This is a considerable upgrade from the 1,364 hours of sunshine received annually in Birmingham. Secondly, the list of activities your children will be able to enjoy when not at school is remarkable. Changing exchange rates can cause property prices to move dramatically. For advice on controlling the risk of sending money overseas, download the Property Buyer’s Guide to Currency from our partner Smart Currency Exchange. Whether they’re in to hiking, surfing, scuba diving, fishing, cycling, football or rugby, there is something active and mostly outside for them to enjoy. You can guarantee they won’t have as much interest in the TV or computer when there is so much to see and do outside. Plus, joining sports clubs is a great way for them, and you, to make new friends. Furthermore, you will be able to enjoy the natural wonders of one of the world’s most beautiful countries when you move to New Zealand with your children. Milford Sound, the Franz Josef Glacier, Waitomo Glow worm Caves and Tongariro Alpine Crossing are just a few sights to put on your to-do list. In addition, there are 14 national parks to visit. If you’ve got any aspiring David Attenboroughs at home, they’ll be excited to witness New Zealand’s native wildlife first hand. You can seek out the Kiwi Bird that gives the locals their names. Go in search of Hector’s Dolphins, or find Tuataras. It’s the only surviving reptile species from the dinosaur era! You don’t need to stop there. Your family can enjoy swimming with seals or dolphins, whale watching… You can even try spotting the three breeds of native penguins that call New Zealand home. We think that if you find yourself twiddling your thumbs when you move to New Zealand with your children, you’re doing something wrong! Visa Matters: Can my children come with me? In most instances, a move to New Zealand with your children is easy. Difficulties can crop up when your kids are above a certain age and are no longer considered dependent. In which case, if they want to join you, they will have to go through their own visa application process. They won’t just be automatically granted access off the back of yours. For those of you who have secured work visas or skilled migrant visas, all dependent children of 19 and under can join you in New Zealand. Your children will be eligible to live and attend school in New Zealand for the duration of your work or skilled visa time frame. If you are going down the resident visa route when you move to New Zealand with your children, you will be able to bring your offspring of aged 24 and under with you. They will automatically be allowed to live, attend school and find employment. For visa purposes, what does ‘dependent’ mean? When assessing whether your child is dependent on you, the New Zealand government will look at whether your children are the correct age, whether they are single, and whether they are financially reliant on you. If your kids tick all the above boxes, you can include them in your visa application. If your child is married – they are not dependent. When your child falls outside of these criteria, they may be able to apply for a visa based on their relationship with you, i.e. as the child of a NZ resident. It’s important to communicate all of the reasons why you’re considering a move to New Zealand with your children. The reasons for choosing the country are endless. This means it’s worth taking some time to explain each motivation and how it benefits them. Making them feel as though they are part of the decision, rather than just telling them it’s happening. Fortunately, with the invention of the Internet, there is now very little that you can’t look up online. Encourage your children to investigate life in New Zealand and what it might involve. This could include identifying potential clubs to join, activities to enjoy and places to visit. Furthermore, most schools have website. You can therefore check which ones have the facilities that are important to your child. You want your children to be excited to arrive. Identify some activities you wish to enjoy as a family while you’re settling in and book them in. Knowing that they are going to be having fun when they arrive will make them excited to be there. It will hopefully also take the edge off of some of the sad goodbyes. Schools in New Zealand are generally excellent – great news if you’re making a move to New Zealand with your children. All children in New Zealand must enrol in school by the age of six. Where you’re located will impact upon the number of children in your children’s classes. 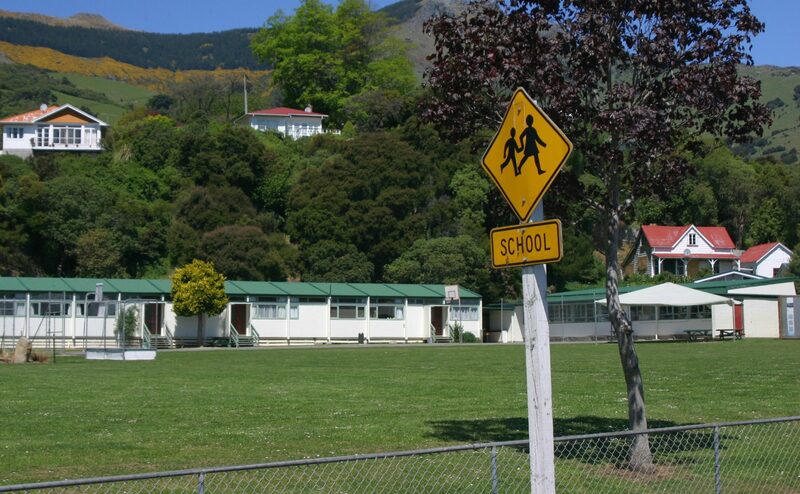 On average, schools in New Zealand range from 100 to 2,000 pupils. They must attend school until they are 16. Every school in the country is thoroughly assessed at least once every three years. You can read the full reports online. In general, your children will attend a school based upon the catchment zone you fall into. Therefore, it’s important to check these zones and what schools you will be eligible for before committing to a property. You can find out which schools are close to the area’s you’re considering on the School Finder tool. You can also have a good scan through pupil numbers, attendance records and compare the school’s results nationally, by visiting the New Zealand Ministry of Education’s Education Counts website. Furthermore, the Education Counts website features a link to every school’s Education Review Office (ERO) report. Every school in the country is thoroughly assessed at least once every three years. You can read the full reports online. Note that the school year runs from February to December, not September to July. PUPILS: 300 students, boys and girls. The college offers a three-year senior secondary school education and focuses specifically on preparing students for the world’s best universities. All of the students in attendance study for the International Baccalaureate (IB) diploma. The focus is very much on academic achievement. If your child wishes to study for GCSEs or A-Levels in New Zealand, this downtown Auckland college is an excellent choice. This progressive, student-focused college prides itself on encouraging creative, independent thinking. FEES: $12,328 – $21,321 (£6,390-£11,052) per year, depending on your year group. This private girls’ school, which also offers boarding, is one of New Zealand’s premium locations for studying for the IB diploma. They excel in sports, the arts and regularly secure the best exam results in the country.